Considered India’s most vibrant state despite the harsh living conditions, Rajasthan is a vast wonderland laced with legends of Rajput warrior princes. It’s heritage, culture, wildlife and sand dunes makes it one of India’s most popular tourist destination preferred specially by international visitors. One of the most special ways to uncover the jewels of this vibrat state is on board India's most revered luxury train, the Palace on Wheels. Once a hodgepodge of Rajput warrior princes, Rajasthan today attract millions of tourists from around the world owing to its unique romantic allure. Forts, palaces, bazaars and colorful people form the backbone of Rajasthan tourism. Palace on Wheels offer a week long luxury train tour across royal destinations in Rajasthan along with a halt at Agra to visit Taj Mahal and Fatehpur Sikri. It is also voted as the 4th best luxury train in the world. The train recreates the opulence and elegance of a bygone era offering a peek into the heritage of the erstwhile Rajputana. The destinations covered by this luxury train in India during its week long itierary include Agra, Jaipur, Jaisalmer, Jodhpur, Sawai Madhopur, Udaipur, and Bharatpur. Sajjangarh Wildlife Sanctuary is situated 5kms in the West of tourist city Udaipur, which surrounds the Sajjangarh Palace overlooking Udaipur City. From the palace, one can have a magnificent view of lakes of Udaipur and Aravalli hill ranges. The view of Sunrise and Sunset attracts every visitor atop of Bansdara hill. Safari Park was created and wild animals like Chital, Sambar, Wild Boar, and Blue Bull were reintroduced. Animals like Panther, Hyena, Hare and Jackal has reappeared apart from variety of reptiles and birds. The wall extended further and now the entire hillock has been fenced, improving the vegetal cover of the sanctuary area. In the Hills, at a short distance on the North-West of Sajjangarh, there is an artificial lake named Jiyan Sagar, popularly known as "Bari Lake" or "Tiger Lake". The lake was constructed by Maharana Raj Singhji, the ex-ruler of Mewar, in 1664 AD and was named after Jana Devi, the mother of the Maharana. The lake has an area of 1.25 square miles with a storage capacity of 400 million cubic feet of water. Incredible and enchanting comes close to describe the journey on board thePalace on Wheels India. Each moment of the journey is an experience in itself unraveling the colorful Rajputana Kaleidoscope. The Palace on Wheels itinerary is meticulously crafted to offer you a glimpse of the myriad colors of Rajasthan, once a hodgepodge of Rajput warrior princes. Palace on Wheels journey will traverse the course of alluring landscape of Rajasthan, a vast and wonder-laced state with treasures more magnificent than those of fables and people as colorful as they get. 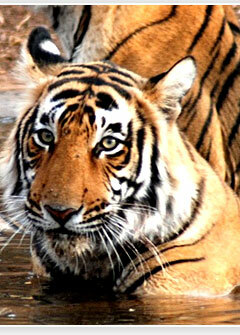 The itinerary also include a halt in Agra for a sightseeing tour of the spectacular Tah Mahal. Assemble at Safdarjung Railway Station by 1600hrs for a traditional welcome and to get set for a luxurious Palace on Wheels journey across "the Land of Maharajas" Rajasthan. The train departs at 1830hrs. You will arrive at the first destination, Jaipur, in the wee hours of the morning. Post breakfast onboard the train, you will be taken around the Jaipur city and to the most significant locations housed here including the City Palace Complex, and the Hawa Mahal. Post lunch visit the Amer Fort (lunch to be served in the fort) and the local markets of Jaipur. Return to the Palace on Wheels by 18:00 hours for tea and some moments of leisure. Depart for a grand dinner experience awaiting you at the Jai Mahal Palace, Jaipur and post-dinner set off for the next location - Sawai Madhopur. 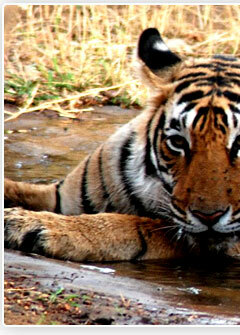 will be exceptionally adventurous for you as on this day you will get a chance to meet the wild animals of the Ranthambore National Park! The greenery, the flora, and the fauna will contribute towards sketching in your mind, unforgettable pictures like never before. 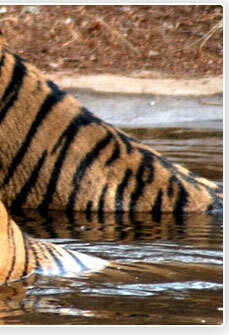 Capture images of tigers in their most natural habitat and in great attendance as well. Enjoy a sumptuous breakfast in the jungle lodge and later return to the Palace on Wheels to continue your sojourn to the next destination in line, Chittorgarh. Post lunch aboard the luxury train, you will go on a sojourn to explore the beauty of the erstwhile fortress town of Chittorgarh. Evening tea and a spectacular light and sound show also waits to entertain you in the fort environs. Take delight in a lavish dinner experience and return to the train for overnight stay. You will arrive in Udaipur by 08:00 hours on the 4th day of the Palace on Wheels sojourn. Known as the city of lakes, Udaipur was founded by Maharana Udai Singh in the 15th century and is today one of the most popular tourist destinations in the country. 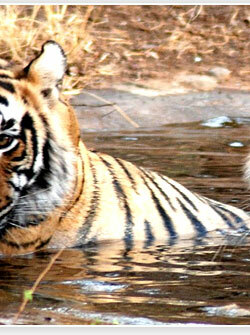 Visit the city attractions like Jag Mandir, Jag Niwas - Lake Palace, and the Jagdish temple etc. Savor a sumptuous lunch in a heritage hotel and visit the City Palace complex. Before embarking on your sojourn to Jaisalmer, do make sure that you visit the splendid Crystal Gallery and a boat ride on the lake Pichola as well! Dinner and overnight stay onboard the train. The train will land you in the city of Jaisalmer in the morning of the 5th day of journey. Post breakfast you can start off your voyage across the city and visit the astonishingly beautiful havelis and mansions including the Patwon ki Haveli, the Nathmalji ki Haveli, and Salim Singh ki Haveli. You can also visit the local markets for their extensive menu of local handicraft products! Enjoy a delectable lunch in the Hotel Moomal and then depart for sightseeing across the Sam sand dunes. The camel ride and the gorgeous views of the sunset will more than make your day memorable. Dinner and a cultural extravaganza wait to surprise you in the sand dunes of Jaisalmer. Return to the train for overnight stay and travel down to Jodhpur. The train will chug its way through, to the next destination in line, Jodhpur. Jodhpur is famous for housing a number of majestic monuments in its bosom including the Mehrangarh fort, the Jaswant Thada, and the Umaid Bhawan Palace. 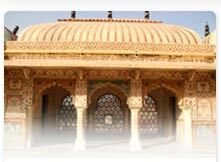 These and several other places you will get a chance to visit on the 6th day of the Palace on Wheels itinerary. Lunch will be organized for you in a palace hotel to make your sojourn, all the more regal. Later, embark on shopping tours across the markets of Jodhpur city to pick up handicraft items such as embroidered shoes, silverware and tie and dye fabrics. Dinner and overnight stay aboard the train. The train arrives at Bharatpur by 05:00 hours. Bharatpur is mostly noted for housing the Keoladeo Ghana Bird Sanctuary and National Park. The huge numbers of migratory bird species that flock to this place every year, make the wildlife environs of Bharatpur all the more special. A trip across the jungles will take almost 3 hours; therefore it will already be 0900 hours by the time you will depart for the next destination - Agra. Agra is mostly visited for Taj Mahal - one of the Seven Wonders of the World. Epitomising the love of Emperor Shah Jahan for his wife Mumtaz Mahal, the Taj Mahal is visited by all guests visiting India. After you have traveled around the Agra monuments and the markets (mostly visited for its marble souvenirs, jewelry and leather goods), take delight in a specially organized light and sound show before you halt for dinner in a city hotel. Later, you will embark the luxury train to move back to Delhi, to conclude the trip. Overnight stay aboard the Palace on Wheels train. Early morning on the 8th day of the journey, the train will land you in the Safdarjung Railway Station, marking the end of the Palace on wheels trip. The Palace on Wheels schedule for the season between January 2012 to December 2013 has been given below for your read through. Mentioned below is the detailed tariff for Palace on Wheels luxury train journey. Along with the Palace on Wheels fare and cost, details of inclusions and exclusions and their terms and conditions are also mentioned below. » A 10% surcharge is to be levied on all Christmas and New Year departures (25th December and 1st January respectively). » Service Tax of 2.58% on the tariff. » Commercial Tax of USD 15 per person is applicable in addition to the tariff. » 10% of the tariff (without beds) for children less than 5 years. » 50% of the tariff for children between 5 and 12 years. Cost of travel and accommodation, entrance fees at the monuments and palaces, catering (morning tea, breakfast, lunch, evening tea and dinner), camel rides at Jaisalmer, boat ride in Udaipur, and rickshaw ride in Bharatpur are a part of the inclusions of the Price of Palace on Wheels. Drinks, telephones, laundry, video camera fees, and charges of the business car facilities are not included in the tariff. » At the time of confirming the booking pay 20% of ticket value. » 60 days prior to departure pay the remaining 80% of ticket value. » 95% of ticket value is returned if cancelled 60 days before departure. » 80% of ticket value is returned if cancelled between 45 to 59 days before departure. » 50% of ticket value is returned if cancelled between 30 to 44 days before departure. » 0% of ticket value is returned if cancelled less than 30 days before departure. » 95% of ticket value is returned if cancelled 89 days before departure. » 50% of ticket value is returned if cancelled between 31 to 88 days before departure. » 0% of ticket value is returned if cancelled 30 days before departure. Note: A group of 15 paying persons will be called as group booking.